Can you believe it’s that time again?!!!! Christmas is coming! And Hanukkah! And St. Nicholas! And….! Lots of reasons to be festive and merry, and plenty of excuses to buy little gifts for your loved ones. This year’s Holiday Gift Guides are up on our site. 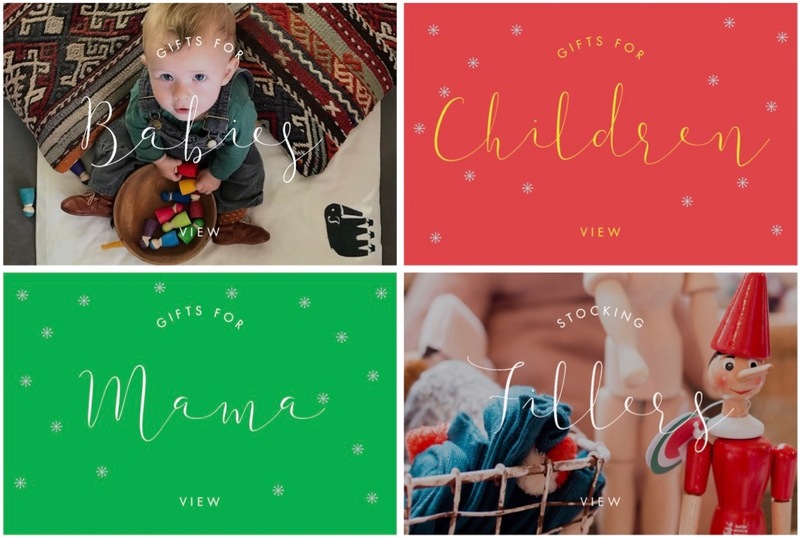 We’ve got gift ideas for babies, children, and us deserving mamas! We’ve also rounded up a cute selection of small gifts great for stocking fillers, or shoe fillers (from Sinterklaas) or for filling the pockets of your Advent calendars. Take a peek at the guides for lots of wonderful gift buying inspiration!